Hi, My name is Kylie and I am scared of wearing white. Okay, not really, but is anyone else absolutely paranoid about wearing an expensive white item of clothing?? I am not a super messy person – I don’t drop my food on my shirt or get very dirty – but I do have dogs. And most of my family have dogs. And they all love to jump up on you to greet you (usually after walking in mud or some sort of dirt that you have to sniff suspiciously) and leave behind their hair. Do you have any item of clothing or jewelry or handbag that you love but are always a bit hesitant to wear or am I the only Nervous Nellie?? I love colorful coats! In Winter, people tend to hibernate their bright colors and wear a lot of gray, brown and black. While those colors are fabulous for boots, it can get kind of depressing if you look like that all winter. So I love adding bright pops of color into my winter wardrobe. 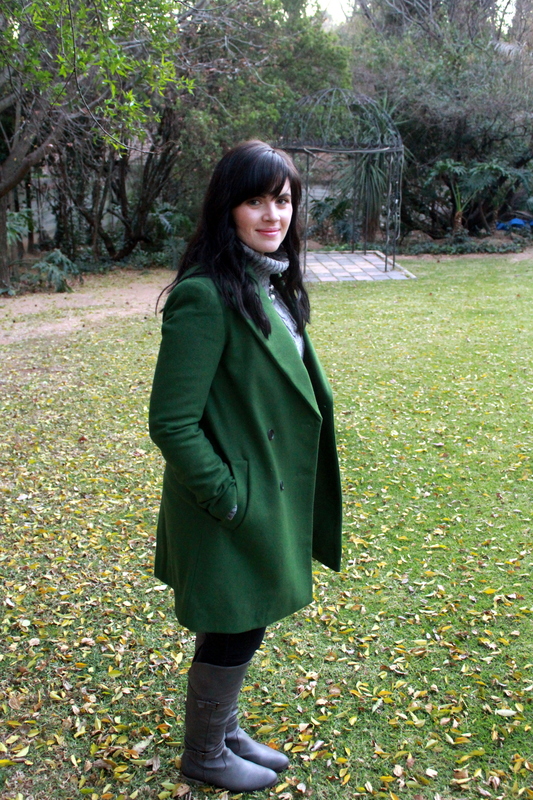 I love this green coat from Zara because it’s fun, bright and makes me happy while keeping me warm. 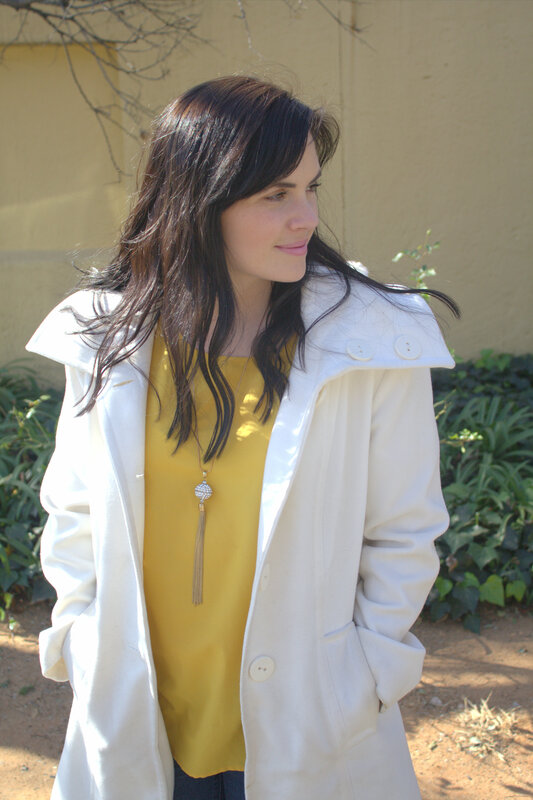 If you aren’t really the kind of girl who wants to wear a jacket that practically screams “Look at me!” you can also wear a brightly colored scarf, handbag or even nail polish or lipstick to add some color into a gray day. How do you like to add color on dreary winter days? 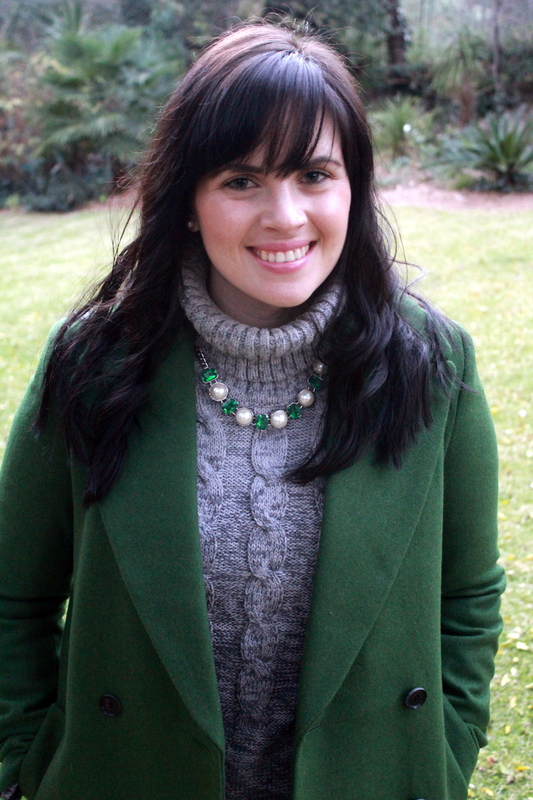 I am an image consultant in Johannesburg, South Africa who gets excited to go shopping, adores Boston Terriers and has way too many scented candles.